Second game in the Champions League and second win for Real Madrid. 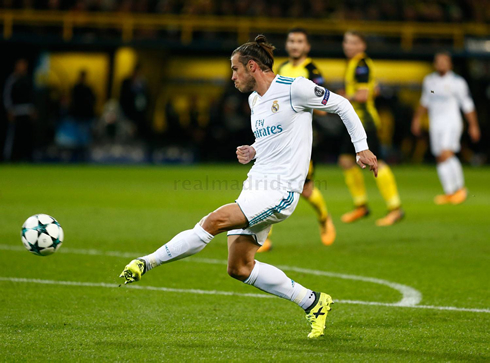 The Merengues visited the Signal Iduna Park to face Borussia Dortmund this Tuesday night and beat the German side 3-1 with a goal from Gareth Bale and a double from Cristiano Ronaldo. Cristiano Ronaldo was, as usual, the star of the show, netting a double in his 400th game for Real Madrid. Gareth Bale was also on the scoresheet, having perhaps his best game since returning from injury. Bale's opening goal merely 18 minutes into the match was wonderful. A Dani Carvajal lofted pass fell to Bale and he hit a controlled volley into the top corner of the net, a brilliant finish really and Madrid were off. The game was quite open and exciting really, as most encounters against BVB tend to be. Madrid seem to perform better when the match is an open affair as they have more space to operate. And this was evident in the first half as Madrid peeled away on counter attack after counter attack, putting the German side on their heels on multiple occasions. Borussia Dortmund would have their chances too through Aubameyang and Yarmalenko, but they often faltered at the last moment with both Ramos and Varane doing a decent job of containment. In the second half, Real Madrid would push forward for the kill. 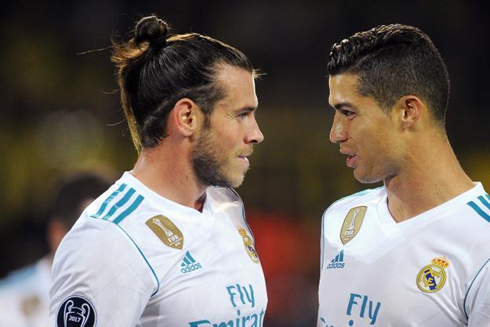 Ronaldo and Bale looked dangerous all night together and they would link up for the second goal of the match. A classic Bale-Ronaldo counter, with Cristiano finishing off with the left foot. A lapse in concentration lead to a bit of a scare for Madrid, as Aubameyang popped up in front of Sergio Ramos to finish off a cross for 2-1. Shades of last season when Madrid squandered a late lead and ended up drawing 2-2 with Dortmund. 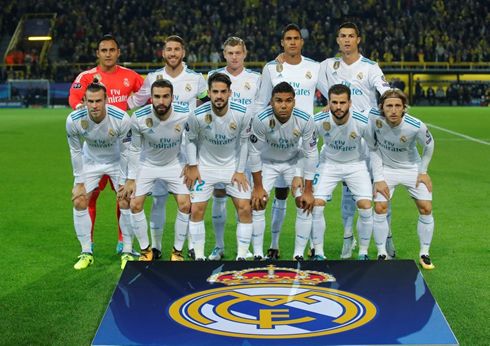 This time, however, there would be no comeback as Madrid continued to capitalize on the space left behind by Dortmund. A classic Modric and Ronaldo connection would lead to the third, as Luka played Cristiano through down the right flank. With a defender and the keeper to beat, Ronaldo hit a rocket of a shot toward the near post and it smashed into the back of the net. 3-1, match complete. 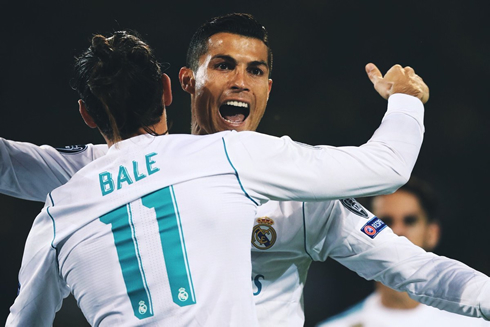 It was a fun night for Madrid fans, though the game was nerve-racking at times, but the team performed really well again under the bright lights of the UEFA Champions League. A special shoutout goes to Nacho, who deputized for Marcelo at left back in this game. Nacho was great in defense, even making a last minute tackle when needed in the box. A great start to the group! Real Madrid will now face Tottenham next, in a top of the table clash in what should be a fantastic affair. Cristiano Ronaldo next game is for Real Madrid on October 1 of 2017 against Espanyol. You can watch Juventus live stream, Real Madrid vs Espanyol, Sporting vs Barcelona, CSKA vs Manchester United, Atletico Madrid vs Chelsea, and PSG vs Bayern Munchen, all matches provided from our soccer live game pages.